Seventeen-year-old Tom Lunday lives in San Francisco — the heart of the tech world — but he traveled all the way to Burlington this summer to learn about video game development. Tom was one of 78 high school students who participated in the Champlain Game Academy at Champlain College in July. “There’s actually not a whole lot of great game design programs out on the West Coast that fit my need for more of a cooperative environment,” the teen explained. 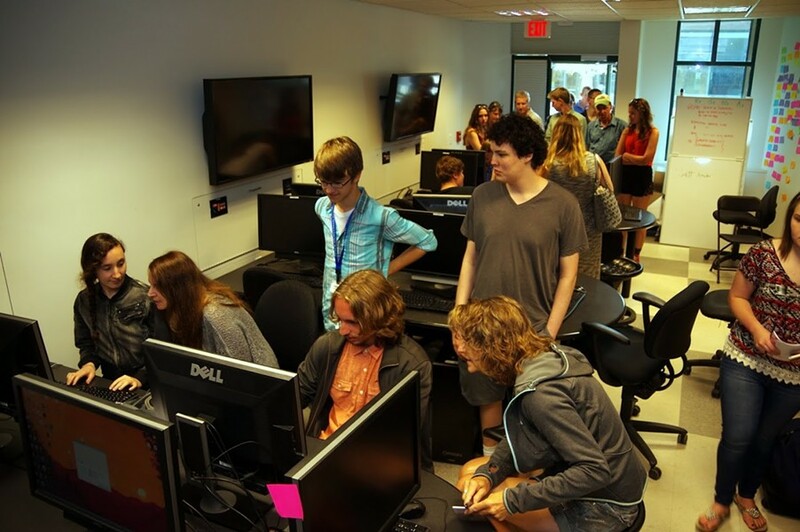 The Champlain Game Academy started three years ago with 20 students. Since then, it’s quadrupled in size and now offers two sessions per summer. The ambitious goal of the camp is to create a miniature version of the college’s four-year game development program in just two weeks. Students attending the academy delve right in, learning industry software and the different skills required to create a successful video game. Everyone leaves with a basic familiarity with the 3D-modeling software Maya, which enables users to make realistic objects; the 3D game engine Unity, which handles graphics, sound and the physics of motion; and a working knowledge of the programming language C Sharp. But the academy isn’t just selling skills; it’s selling the opportunity to explore. Or sometimes they discover that, even though they’re good at it, they don’t enjoy programming much at all. Last Tuesday, Tom Lunday, who was assigned the role of coder for his group, grimly sorted through pages of code, attempting to debug it. Although he loves game development, he acknowledged that coding can be tedious. “That’s the nature of programming and why I could never be a programmer full time,” he said. Almost all of the teenagers at the academy had grand plans for the sophisticated video games they wanted to create someday. And they weren’t the stereotypical first-person shooters. 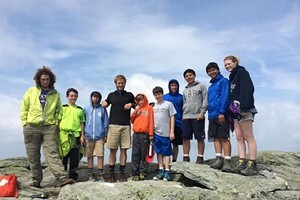 Jake Cotter, from Glen, New Hampshire, said he wanted to create a post-apocalyptic game where players could both rebuild the world and “explore the old ruins.” Other participants talked about entirely user-generated worlds, sci-fi universes and even games that would tackle social issues. The teens are still years away from being able to develop the types of games they love to play, a fact they all readily acknowledged. But they’re still excited about the basic games they made during the two-week session. Each object takes hours of intensive labor to create, first in Maya and then in Photoshop, the pair explained. But on this particular day, no one was complaining about working in the computer lab while the sun shone outside. Instead, the teens focused intently on their screens, immersed in the arduous work of world building.